COLONIE — Most games are about the players, and if you ask the Shaker boys lacrosse Head Coach Shawn Hennessey, the 14-0 win against Averill Park on Thursday, April 4, was no different. But, that win represents Hennessey’s 141st, giving him the most Ws of any Blue Bison coach in the history of the school’s lacrosse program. 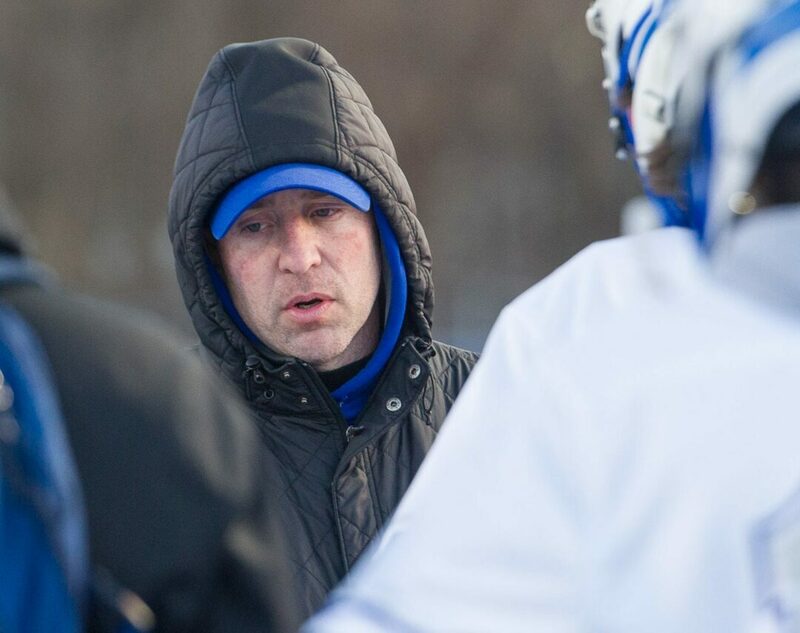 The 12-year head coach said he wasn’t aware he was approaching the record until his assistant coach, Joe Pollicino, informed him that day, and Shaker alumni was quick to spread the credit around. Hennessey graduated from Shaker in 1992 and played lacrosse for coach Tad Knight. He broke the record held by Knight’s successor, Joe Bennett. Motivating a group of high school kids is never easy, and the constant, vocal, animated motivation from the sidelines doesn’t come from Hennessey. It comes from his assistant, Pollicino, who was head coach in Ballston Spa but came back to North Colonie where he lives to help with the Shaker program. Against Averill Park, Matt Calicchia and Sean McClean had three goals each while Jan Shelmerdine and Zach Mein had two goals and an assist. Shaker will next play at Ballston Spa on Tuesday April 9 and then host Columbia on Thursday, April 11. Click on a photo below to view a slideshow of the rest. What time does trolly leave to head to museum?